Dr. Eric Winchester was born and raised in Jacksonville, Florida. He obtained a B.S. in Chemistry from the University of Florida in 1965, after which he went to work for the State of Florida Division of Occupational Health as a chemist. He married Jacksonville native, Janis, in 1966. In 1968 he entered Auburn University’s College of Veterinary Medicine, the only veterinary school in the Southeast at the time. Through veterinary school he worked for the Alabama State Toxicology Laboratory as a clinical toxicologist. Dr. Winchester received his D.V.M. from Auburn University in 1972 at which time he entered into general practice at Murray Hill Animal Hospital on Jacksonville’s Westside. His first son, Rod, was born that year. In 1975, Dr. Winchester and his wife Janis opened Julington Creek Animal Hospital as a combined practice for both small and large animals – the first in the area. Shortly thereafter, their second son, Jason, was born. At that time, San Jose Boulevard was only a two-lane country road with mostly horse farms dotting the landscape. As Mandarin grew, so did the small pet population. Julington Creek Animal Hospital shifted its focus to an exclusively small animal practice in the mid-1980’s. Since that time, the practice has grown to five veterinarians including 16-year Julington Creek associate Dr. Cahill and Dr. Winchester’s son, Dr. Rod. In August 2002, Julington Creek Animal Walk opened as the first Dog Park in Duval county and Northeast Florida’s most spacious luxury pet resort and spa. Dr. Winchester’s personal interests include fishing and traveling, particularly in Belize. His other family members include Babar the Rottweiler; Goldie the cat; and Pedro, a blue and gold macaw. 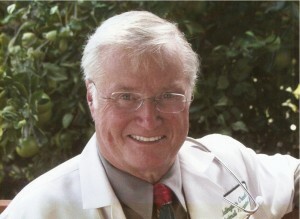 Dr. Rod Winchester was born and raised in Jacksonville, Florida. He graduated from Bolles High School in 1990; obtained a B.S. in Marine Biology from Mississippi State University in 1994; and received his D.V.M. from Mississippi State University’s College of Veterinary Medicine in 1998. During school, Dr. Rod studied marine mammal veterinary medicine in Woods Hole, Massachusetts and participated in veterinary externships in the cities of Cincinnati, Honolulu, and Miami. He entered into general practice with his father immediately after graduation in May of 1998. His professional interests include dermatology and gastroenterology of dogs and cats for which he has received post-graduate training. He served as president of the Jacksonville Veterinary Medical Society from 2003-2004 and is actively involved locally in veterinary medical policies. He married Jacksonville native, Shawn, in 1999, and they have two sons, Reef and Kai. Dr. Rod’s outside interests include surfing, snowboarding, and camping with his family. Other family members include a French Bulldog named Chug and two cats – Kit-Kat and Tic-Tac. Dr. Zuleika Cotto was born and raised in Puerto Rico. She’s had a love for animals since she was a child. She began her interest in animal health by completing her A.S. degree from the University of Puerto Rico in Arecibo. She moved to Oklahoma in 1997 and received her Animal Science B.S. degree in 2001 from Oklahoma State University. She completed her D.V.M. degree in 2004. 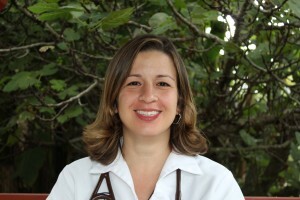 Dr. Cotto furthered her studies after graduation by completing an internship in Food Animal Medicine at the University of Florida in Gainesville. Dr. Cotto enjoyed the Florida sunshine and decided to stay. She worked in a mixed animal practice on the west side of Jacksonville before joining the Julington Creek Animal Hospital team in 2006. Dr. Cotto has two Dachshunds named Chucky and Beebop and two rescue pups named Toby and Eli. 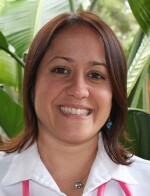 Dr. Maria del Mar Guzman was born and raised in San Juan, Puerto Rico. After graduating from high school she worked in a veterinary practice as a veterinary assistant while completing her B.S. in Biology from the University of Puerto Rico. She completed her D.V.M. degree in June of 2007 from The Ohio State University. While in veterinary school, Dr. Guzman worked with Rural Area Veterinary Services performing free spay and neuters for pets around the United States. She relocated to Jacksonville in July of 2007 when she joined Julington Creek Animal Hospital. Her personal interests include playing the guitar, singing, painting, and traveling. She lives with her dogs Alice, a Border Collie/Husky mix who was a shelter rescue and Rumpel, a Pitbull mix. Dr. Tom Fish is a Jacksonville native, the third generation of veterinarians from his family in the area. After graduating high school he attended the University of Georgia where he earned a B.S. in Geology in 1993. After a few years working in Jacksonville as an Environmental Consultant, he went back to school and earned a second B.S. in Animal Science from the University of Florida in 2000. Dr Fish Graduated from Kansas State University College of Veterinary Medicine in 2005. Dr. Fish shares his home with two Great Danes (Linus and Phoebe), an amazon parrot (Tiki), and a cat (Otis). He spends much of his free time at his family’s farm in south Georgia. For fun he restores and races vintage sports cars.